THE first time you meet Robin, it’s easy to be misled by her fragile appearance. She’s in her 40s and painfully thin, and she grips her aluminum walker with hands that have been twisted by rheumatoid arthritis. But she’s both tough and resourceful, and she doesn’t give up easily. I met Robin and many others like her at a California medical marijuanaclinic where I was doing research for a book. She was one of almost a dozen patients seeking recommendation letters that would let them buy marijuana at designated dispensaries. I asked how marijuana helped her. “I can’t live without it,” she told me. She said it helped her sleep, and it relieved the constant pain in her joints. But Robin was most eager to talk about how medical marijuana put her in charge. She can decide whether to use it, when to use it and how much she needs. She doesn’t have to rely on a doctor. “I’m in control,” she said. That simple declaration might be a rallying cry for proponents of medical marijuana, which is legal in 23 states and the District of Columbia. By some estimates, at least one million people in the United States are registered medical marijuana users. There are likely to be many more who obtain it without registering, and still more who obtain marijuana illegally. In the past year I’ve talked to dozens of these patients in states where medical marijuana is legal, as well as in Colorado, Washington and Oregon, which allow recreational use. Many people with serious illnesses turn to medical marijuana because they’re not getting the careful, comprehensive treatment they need for symptoms like pain or nausea or anxiety. That was certainly true for Robin, whose physicians didn’t seem to have the time or the skills to help her. 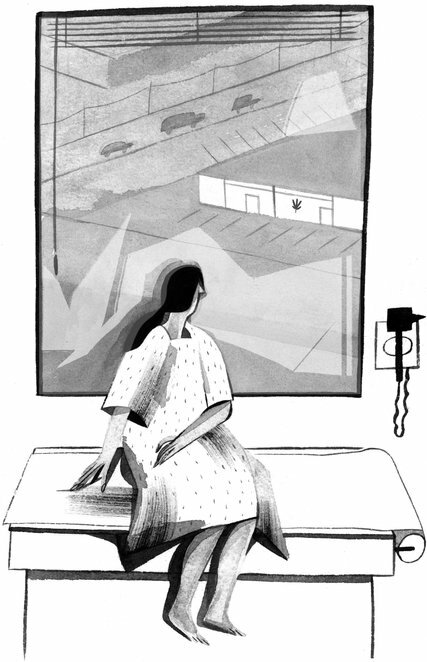 As a palliative care physician, every day I see firsthand the suffering my patients have experienced, and the lengths to which they’ve gone to manage their symptoms and control their lives. They stockpile medications in case their pain increases. And some buy illegal drugs on the street because their physicians won’t prescribe opioids. So is it any wonder that people like Robin with serious illnesses want to take matters into their own hands? Yet it seems that many of my physician colleagues haven’t considered the possibility that patients are turning to medical marijuana because the health care system has failed them. In general, their reaction to medical marijuana has been one of detached amusement, tinged with avuncular concern. And when they recognize the challenges that patients like Robin face, they point out that they don’t have enough time in a typical 15-minute visit to deliver the kind of personalized care that Robin needed.